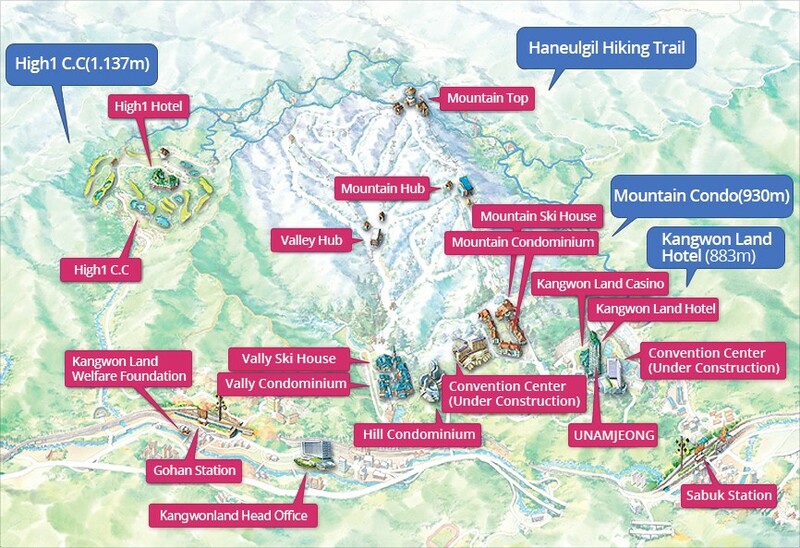 The 5th International Winter Conference on Brain-Computer Interface will be held at High 1 resort that proposes a multi-purpose resort where provides the decent seasonal activities including skiing or snowboarding. The idea of BCI winter conference is to have interesting presentations through talks and posters about topics in Brain Computer Interfacing and to discuss important future challenges of the BCI field. This will allow the informal to exchange ideas and also to experience seasonal descent activities! i. Venue: The talks and banquet will be held in Forest Room on the 4th floor of High 1 Convention Hotel. 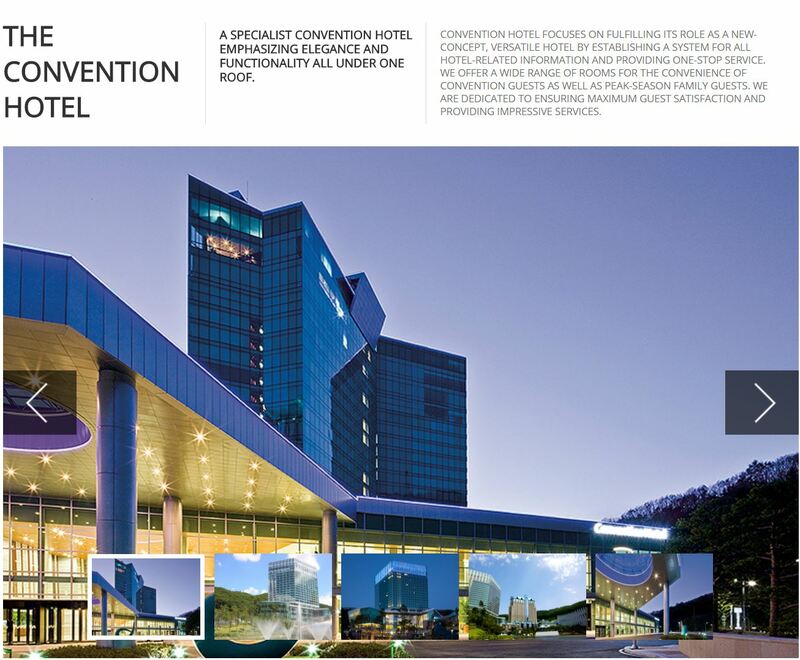 Please click the following picture for more information about the Convention Hotel. Discounted hotel rooms at Convention Hotel are offered to those who register and attend. Please find the Reservation form to have the room reserved by sending the reservation form to the BCI2017 Secretariat (korea.bci2017@gmail.com). Its availability is subject to change. The deadline for reservation is December 30(Fri.), 2016. After that point, please contact directly to High1 sales manager (Contact person: Mr. Hyungbae Ji, +82-2-6196-4222). Group reservation at Condominium is also available. Please download the Reservation form and send it to the BCI2017 Secretariat. Other information can be answered via email. 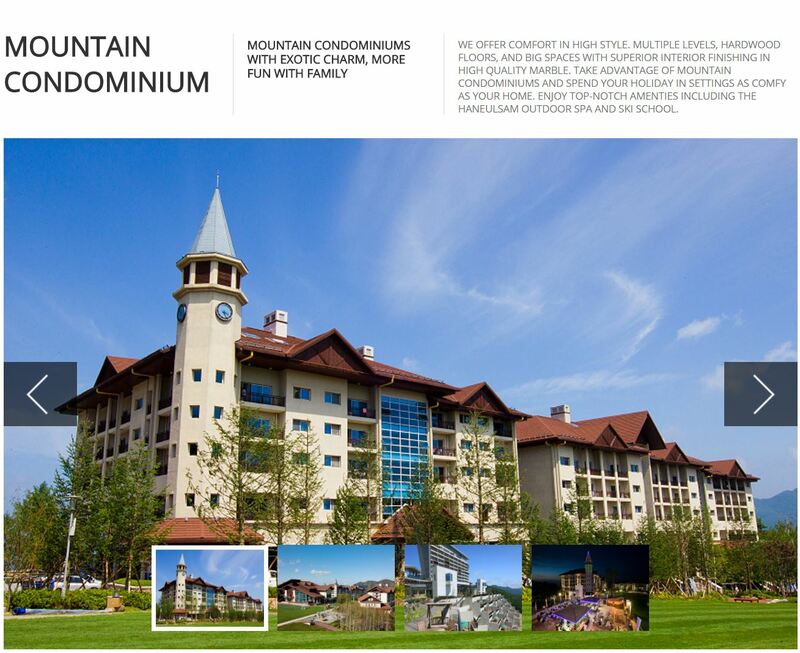 Please click the following picture for more information about Mountain Condominium. This special room rate is only available for the conference dates and for those who have registered. If staying before or after the conference dates or without registration, the rate may vary. Please ask for more information. Check-in time is 2pm and Check-out time is 12pm. At the time of check-out, the payment must be made at the hotel front desk then the receipt can be obtained. For any other inquiries please send an email to the BCI2017 Secretariat. If you are interested in enjoying skiing or snowboarding, gear rentals & tickets can be secured via BCI2017 Secretariat. All reservation for skiing “& snowboarding issue will be dealt after registration & hotel reservation are finished. The reservation opens for 5 working days only after hotel reservation ends. Please contact BCI2017 Secretariat via email for more information. Travelling to Kangwon Province used to be a long, tiring experience. However, it is not anymore. We will show you the fastest route to High1 Resort whether you visit by car, High1 season bus, or local bus from any place in Korea. 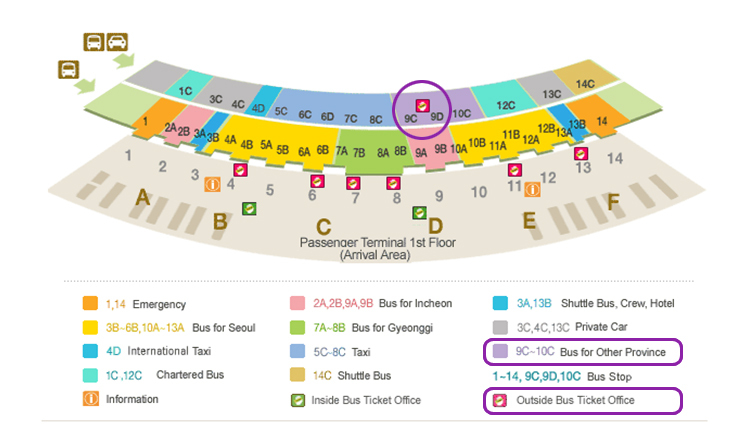 - The bus stop point is in front of Bus Stop 1C (a cross of street from Arrival gate 1 / 1st floor). - Please show the Booking Confirmation to the ski tour staff and then you will be able to board the ski bus. - The details of the reservation cannot be changed once the reservation has been completed. If you wish to change the details, you must cancel your previous reservation and submit a new reservation form. - For the bus from Incheon airport to High 1 resort, please be on the bus at least 10 minutes before the departure time. ※ No Incheon Airport return bus from High 1 resort.